Should Ofcom's recommendations be acted on by the government, they will change the face of traditional television channels in the coming years. One of the channels that looks set to change most significantly is ITV, which currently has significant public service obligations. Ofcom believes that ITV would be better served with less of a public service commitment in the long term, with minor changes rolling out to services such as news and regional programmes in the mean time. 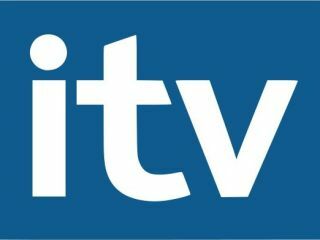 "If the obligations of ITV plc's licences significantly outweighed their benefits, ITV plc could feasibly surrender its public service licences and pursue an entirely commercial strategy using a broadcasting spectrum through an alternative multiplex (such as SDN, which it owns)," explains Ofcom. "In such a scenario, much of ITV plc's public service content would be likely to be lost completely, including regional programmes." A restructuring of ITV's regional news in England and the Scottish borders: "This will ensure that ITV prioritises programmes that audiences value the highest, such as peak time regional news coverage and original UK content." Changes to news in Wales and Scotland: The requirement for news programmes (other than in Wales and Scotland) to be revised to one and a half hours per week. Less local news in Scottish and Welsh regions: The reduction of news on STV, UTV and ITV Wales to four hours per week. Changes to news in Northern Ireland: Ofcom's original recommendations of one and a half hours of local news per week last year were met with opposition, so they've been revised upwards to two hours. "This change is in response to strong stakeholder reaction against the original proposals; and because of the specific conditions pertaining to Northern Ireland, which differ from the other nations – including later digital switchover," says Ofcom. ITV current affairs quota changes: "We will set the ITV network current affairs quota at 50 minutes on average per week with effect from 2010. However, 40 minutes of this must be delivered in peak-time, as now." Volume and spending on programmes made outside of London: "The ITV network quotas for expenditure on, and volume of, production from outside London will be set at 35 per cent from the calendar year 2009 on." Teletext news reduced "We will allow Teletext to reduce the number of regional news regions from 19 to 13; reduce the minimum regional page count for content other than news on the analogue service by 40 per cent to 24 pages (the same as the digital service); and to reduce national news page count by a third, from 30 to 20 pages, with effect within the first quarter of 2009." ITV will see a reduction in its PSB commitments: "Ofcom wants to support investment in the wide availability of high quality original programming and UK and international news," says Ofcom. "Ofcom proposes to position Channel 3 services as commercial networks with a limited public service commitment. Modest licence benefits should be balanced by appropriate obligations on a sustainable basis."